The Stand, aside from being one of Stephen King’s earliest and best-known works, is absolutely tenacious when it comes to holding down a record. When it was first published in 1978, it was King’s largest volume to date at a whopping 823 pages. Eight years later in 1986, It blew that record out of the water with a hefty 1,138 pages. That could have been the end of the whole affair, with It holding the record right up until the present day, but The Stand came off the ropes swinging. When the book was originally published, Doubleday Publishing had warned King that the book was too long and the cost of printing it (and the resulting increase in consumer cost) would be too much for the market to bear—and as a result, he cut roughly 150,000 words from the original manuscript. 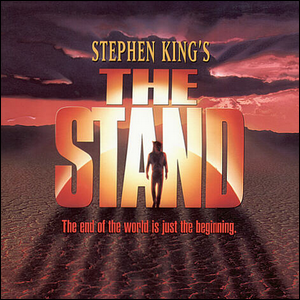 In 1990, King and Doubleday, now backed by King’s star novelist selling power, released an uncut edition of The Stand that weighed in at a mighty 1,152 pages. There’s a good chance that will stand as King’s longest book. But the fight certainly isn’t over, however, as King still produces lengthy works (Under the Dome, released in 2009, tips the scales at 1,074 pages); there just might be a record-breaking novel still waiting in the wings.